Disclosure: I am an affiliate for Tailwind and this post does include affiliate links , which means I will make a commission at no extra cost to you should you click through and make a purchase. All opinions are my own. 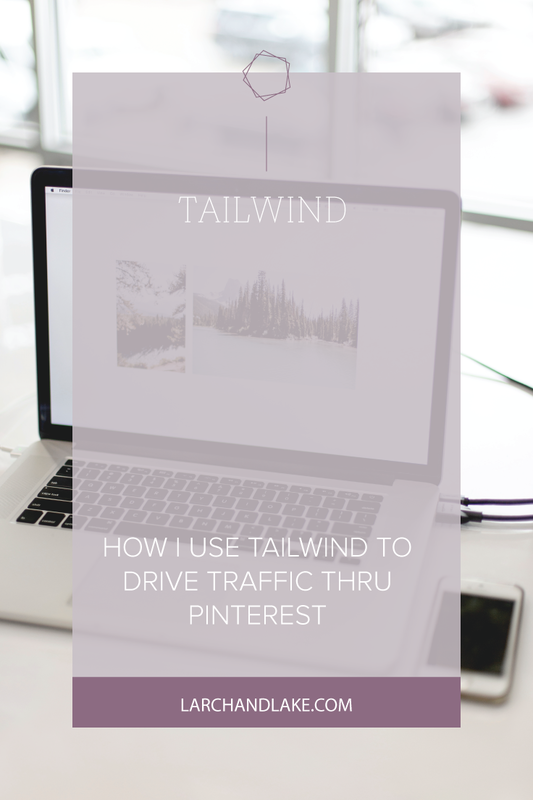 The number one thing I love about using Tailwind for Pinterest is how simple it is, I can spend 30 minutes to an hour once a month and still see benefits. Tailwind operates pretty much autopilot. Which is awesome in a world of more things to do. One of the nice things of using Tailwind, is you can try before you buy. Before committing to the annual plan, I used the free trial which is based on 100 scheduled pins not 14 or 30 days. The 100 scheduled pins lasted me about a six weeks, which was a great period of time to see if Tailwind was worth the investment. Here’s the thing, for me, using Pinterest strategically is not about growing my following on Pinterest or increasing the monthly views on my profile. My main goal of Pinterest and Tailwind is to drive traffic back to my website. Because eyes on my website means more opportunities to make a sale, get an inquiry and book my services. Here are a few tips so you can start using Pinterest more strategically! This blog post explains my personal results, but Tailwind also publishes the Typical Results of Tailwind Members every year, so you can see exactly what the average growth rate looks like for their members. 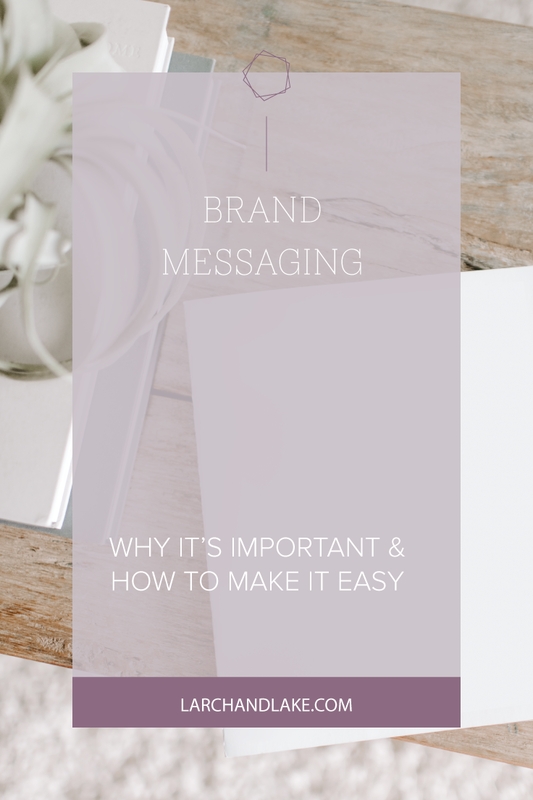 Don’t just rely on one graphics per blog post, use a few cohesive templates and change up the words on each of them. Different images are going to appeal to different people, so you increase your odds of getting your blog post pinned and viewed when you have a few different styles. I upload each blog post graphic to Tailwind and post into the Larch & Lake Blog board on my own profile and then add pin to the Tailwind Tribes I am apart of (more on that later). Have you ever tried to pin something from someone’s website and there is no information in the Pin Description so Pinterest won’t let you pin it? Yeah? Avoid this at all costs! As soon as I have to type in a description I lose interest and don’t pin the image. The best way to get your pins seen and pinned is to add them to Tailwind Tribes. This is the best feature of Tailwind and it will ensure that your pins are seen and traffic is directed back to your website. Currently, my favourite tribe is the Creative Entrepreneur tribe hosted by Vanessa Kynes. In the annual plan, you have access to 5 Tribes, but you can additional tribes can be added through PowerUps. Once you add your pins to Tribes monitor how successful they are by using Insights. It is always important to know what is working and what isn’t. If the design of pin is causing it to not get repinned it’s better for you to know and change the style instead of wasting your precious time creating graphics that aren’t converting. In the image below, you can see how the blog post “How to Setup your Email Opt-In with Mailchimp” has the highest number of repins. Now that I know that, I should be creating more blog posts similar to this topic. It’s also important to know which blog posts are actually driving the most traffic to your website. Just because the post has been pinned, doesn’t mean that people are following the link back to your website (which is our overall goal). In your Google Analytics account, look up the top viewed landing pages on your website for the past year. Not sure how to do that? Install my Google Analytics Dashboard to your account. This stat is in the bottom left corner. For me, the blog post “How to Setup your Email Opt-In” had 238 re-pins on Pinterest and it drove 71 unique visits to my website. Which is a 29% conversion rate. Similarly, the post “175 Email Opt-In Ideas” was re-pinned 42 times and had 17 unique visits from Pinterest. Which is a 40% conversion rate. For me, it’s not enough to have lots of repins on Pinterest/Tailwind. The goal is to get visitors to my website and even though you received a lot of repins it doesn’t mean you are getting the traffic. My goal in the future is to continue to focus on converting traffic from Pinterest to my own website and to do this I will continue to investigate content that converts and does not. I will continue to share content that converts and stop spending time on the content that doesn’t. Using Pinterest and Tailwind strategically means looking at your insights and analytics and using that information to drive your content. Because at the end of the day, do you want to be spending time on blog posts that are not helping to drive content to your website? Probably not. Disclosure: I am an affiliate for Tailwind and this post does include affiliate links , which means I will make a commission at no extra cost to you should you click through and make a purchase. All opinions are my own. Read the entire Terms and Conditions of this website.